The facelifted Honda Jazz has already launched globally in 2017. It was previously reported that the facelifted Jazz may launch sometime this year in India. 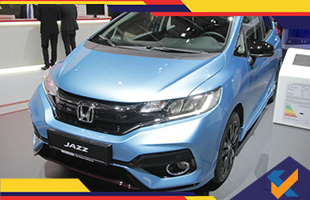 However, the latest reports state that Honda is not considering the facelifted Jazz or any other new variant of the premium hatchback for the Indian market. As a result, the facelifted Jazz may skip the Indian market altogether. The Honda Jazz has never really been successful in the country with Honda selling just 29, 890 units of the car between January and December 2017. Also, Honda will now focus more on the WR-V which is its second best selling model in the country after the City executive sedan. It will also focus on the upcoming new generation Amaze.